On Episode 15 of the #AskSteveAustin Podcast, Steve Austin talks with a very special guest, The Reverend Ed Bacon. Together, these friends discuss the wonderful truth about Heaven and Hell. Having conversations around Heaven and Hell can be heavy, scary, and devisive. That’s exactly why Steve invited Ed Bacon for this “Ask the Expert” segment. This is the most important conversation I’ve ever had on the #AskSteveAustin podcast. In this episode, we ask the all-important question, “Is God a god of Love, or Fear?” Your answer to that question changes everything. Is your identity based in Love or Fear? Do you want to look at your screw-ups and be able to forgive them? Are you terrified of Hell? How do we reconcile a God of Love with multiple Biblical accounts of a God of vengance and violence? If no Hell, why Jesus? What would it mean to redefine salvation? “But what about murderers, rapists, and pedophiles?” Trust me, we’ll cover that one, too. If we say “God is Love”, & “nothing can separate us from God”, isn’t that a bit dangerous? I can’t wait for you to hear Ed’s response to this! Rev. Ed Bacon is former Rector of All Saints, Pasadena, California. He is a frequent guest on Oprah’s Soul Series, and also contributes to the Huffington Post and Truthdig. Ed has received numerous accolades for his peace and interfaith work. 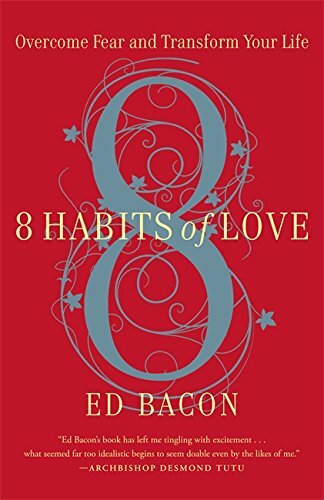 Connect with Ed on Twitter, his website, or buy 8 Habits of Love: Open Your Heart, Open Your Mind on Amazon. Steve Austin is a life coach, speaker, and author of Self-Care for the Wounded Soul. Steve’s goal is to help you create a lifestyle of focused emotional health and clarity. Looking for more ways to create space? Subscribe to Steve Austin’s free weekly newsletter by clicking right here. You can also listen on iTunes or Podbean.